There are various kinds of handicrafts, prevalent in all the corners of the nation. The industry depends on the availability of the raw materials in the local areas. Thus, the regions, which can support the coconut trees, are heavily dependent on the coir manufacturing industry. This is a small scale industry and is mainly done in the rural areas. The women are particularly associated with the making of these coir mats. Even though it is small scale industry, there is no denying the fact that the demand for these products is high. 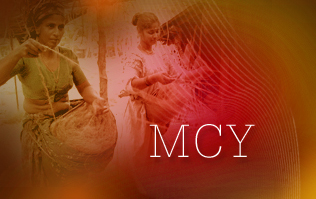 Thus, the Modi government has implemented the Mahila Coir Yojana, popularly known as the MCY. A lot of policies have been implemented by the central government for making the women independent economically. The government has understood that with the better participation of women in the national economy, the chances of development are high. Thus, the latest step towards empowering the women artisans of the villages has been stressed on. The central government will provide training as well as monetary assistance to the women associated with the manufacturing of coir. It will make them self-employed, self-sufficient and empowered. This Yojana is only for the women based in the rural areas. The step is a joint endeavor of the central government and the Coir Board of India. These two bodies are looking after the whole scheme. They will not only provide the rural female artisan with technical training in operating the coir making machines. They will also provide the help in acquiring these machines. The Coir Board will provide the women with a training session of two months. All those who enroll in these training programs will be given a grant of Rs. 1000. Once the train is complete, these women will also receive machines from the authority at low rates. It will assist them in starting their journey towards attaining financial independence. According to the official records, the success rate of the scheme is good. Till date, around 1600 rural women artisan has already completed the two-month training program. The board has already successfully distributed 150 mechanical rats. Another interesting aspect of the scheme is that the central government and the Coir Board will be providing the trained candidates with 75% of the amount that will be required for buying the latest coir making the machine. If not this, they will be given Rs. 7500 for purchasing the ratt. On the other hand, the candidates who are going to purchase traditional ratt machines, the board will provide a subsidy sum of Rs. 2500. As it has already been mentioned, the centers will offer first-hand training to the candidates who enroll under the scheme. The total duration of the training session will be no more than two months. Within these two months, the candidates will be provided with the technical know-how of operating the latest automatic coir machines. The setting up of training centers will be done by the government centers. All the rural female artisans, who enroll under the scheme, will also get a monetary grant of Rs. 1000. This will assist them during the training and the initial days of setting up the business. As the coir production depends on the coconut husks, the highest percentage of this industry is located in the areas near the coastlines. Thus, rural women, who are residents of the areas like West Bengal, Tamil Nadu, Orissa and Kerala, will be offered the benefit of enrolling under the scheme. The females of the village can enroll under the Yojana, and they will be provided financial and technical aid. The scheme has the main motto of making the village women self-sufficient. With assistance, they will be able to attain economic empowerment, and it will catapult them towards a sound life. The success of the scheme will assist the women in developing their economic condition and become self-sufficient. The scheme will give them a sound career foundation. It is planned for improvement of rural women.